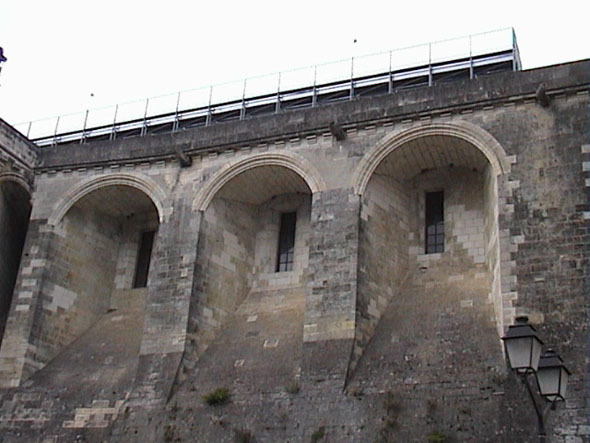 The Chateau of Amboise, built by order of Charles VIII, Louis XII and François I between the 15th and 16th centuries was one of the first truly “royal” residences. Built on a rocky outcrop above the town, the castle has a very defensive site with its tall walls and was accessed via two towers with ramped spirals to the courtyard. This enabled horses and carriages to be brought up into the castle. At the time of the revolution most of the Chateau was demolished so that today visitors to Amboise see only about one fifth of what was formerly a vast complex of buildings. The true size of the chateau can be seen by walking along the top of the walls overlooking the town. 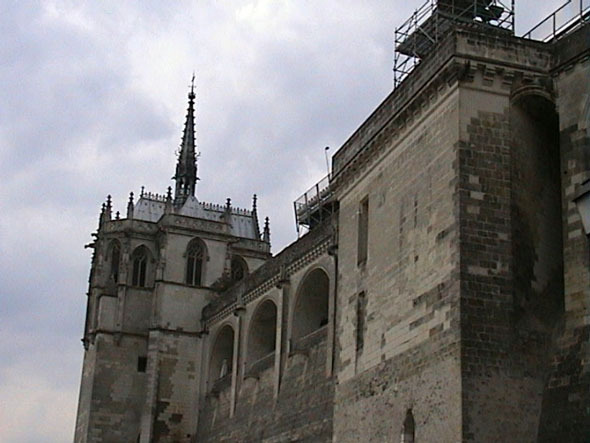 The church pictured above is the chapel of Saint-Hubert perched high on the walls of the chateau above the town. 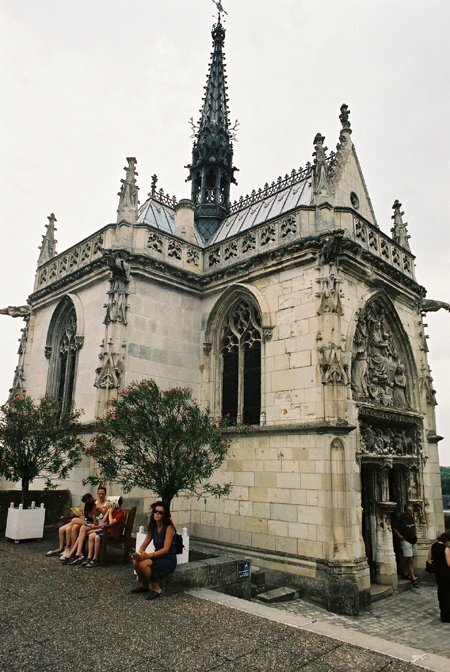 Records show that Leonardo da Vinci was buried in the church of Saint-Florentin in Chateau Amboise. Almost 300 years later this church was in a ruinous state, mainly as a result of the vandalism that followed the French revolution. An official appointed by Napoleon decided it was not worth preserving and it was demolished. 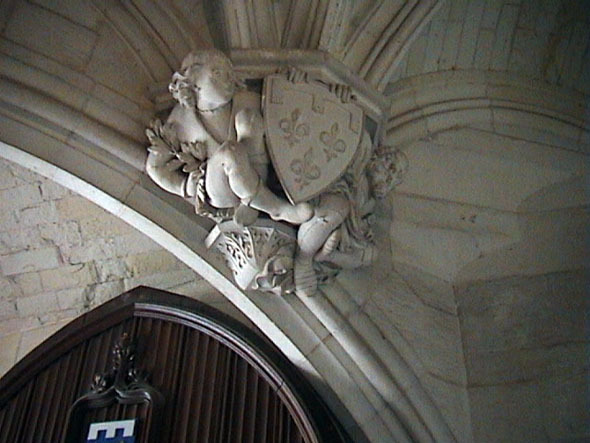 The stonework was used to repair the chateau. 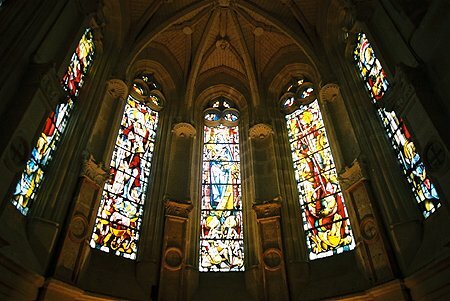 Some 60 years later the site of Saint-Florentin was excavated and a complete skeleton found. Close by were fragments of an inscription in stone which contained some of the letters of Leonardo’s name; but it is still not clear if these were Leonardo’s remains. This collection of bones was eventually buried in the chapel of Saint-Hubert within the grounds of the chateau.